Mariana just said tata for the first time!!!!!!!! For those playing at home, tata is the baby version of tatie, which I've decreed all my nephews/nieces will call me. 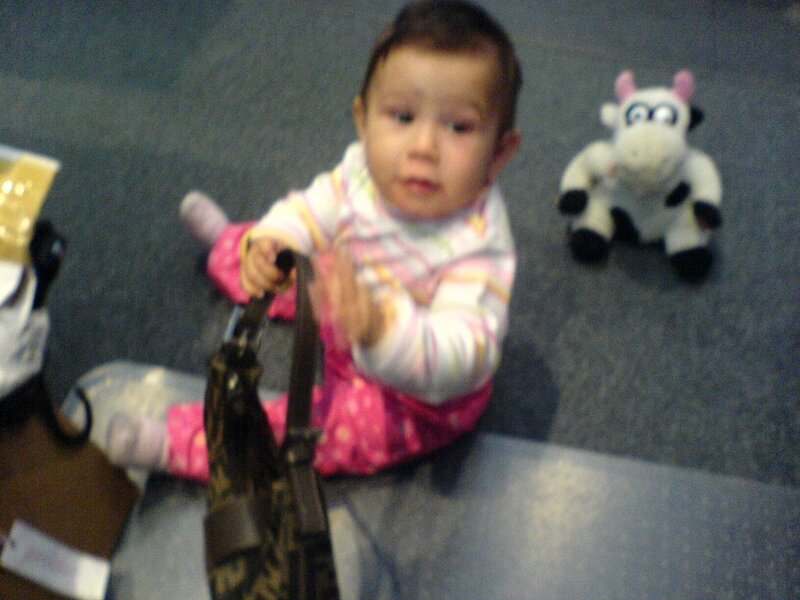 Mariana with Fendi handbag and mad cow.